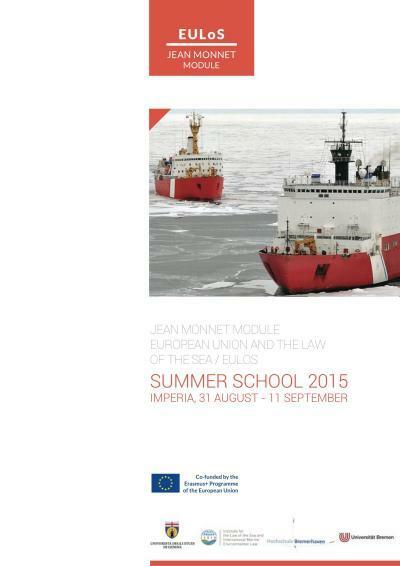 A half-day workshop on “European Union and the Law of the Sea: From Principles to Practice” will be held in Genoa, on 4 September 2015, as an integral part of the summer school. Please watch this space for further information, including a detailed programme. 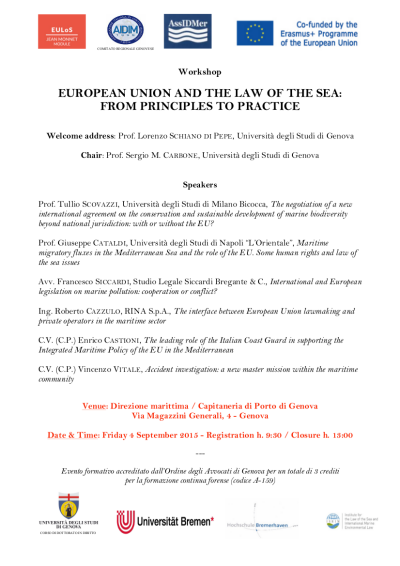 University of Genoa post-doctoral fellows will deliver presentations concerning their current research in the area (covering, inter alia, eco-terrorism at sea, maritime regional cooperation inside and outside the EU and participation of the EU to relevant international organizations).